From Venetian Renaissance art to corner trattorias, dig into the city known as La Serrenissima ("Her Most Serene") with Moon Venice & Beyond. 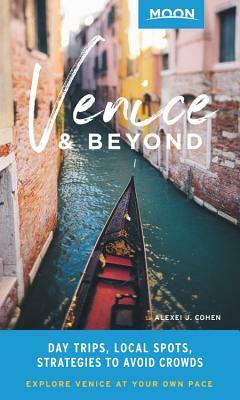 Day trip itineraries, favorite local spots, and strategies to skip the crowds: Take your time with Moon Venice & Beyond. Exploring more of Italy? Check out Moon Florence & Beyond or Moon Milan & the Italian Lakes. Alexei J. Cohen was born in New York City and learned the joy of travel at an early age. He got his first passport at 6 months old and spent childhood holidays exploring rural France. He fell in love with Italy by chance, and married an Italian after graduating from Carnegie Mellon University. Today he lives on the outskirts of Rome with his wife and two children, where he writes about Italy and shares his passion with travelers. You can follow him on Twitter (@alexeicohen), or meet him in person at monthly gatherings in Rome to talk about all things Italy and swap experiences with fellow Italophiles.